“I was not able to eat at a wedding because I could not eat anything with oil, but once I was treated at Midwest Allergy Relief Center for oils as well as many other foods, I was finally able to eat the dinner at a recent wedding I attended!” ~ A.R. “I was sensitive to wheat, dairy, onions, garlic, avocado, shellfish, tomatoes and peppers. Try finding a restaurant meal that doesn’t include at least one of those. Now I am eating all of them with no problems, and I’m enjoying eating out again.” ~ C.F. “I came in to be treated for a wheat sensitivity that I have had for 2 years. I am not eating bagels and loving it! Pizza is next!” ~ D.L. After being nauseous for over 4 months this morning I work up for the first time not felling nauseous thank you for helping me. ~ C.T. After three months with no coffee I was treated for both coffee and caffeine. I was so excited to see if it worked that I set my alarm to get me up 20 minutes early so I could drink as much coffee as I wanted! That day I went to work with a big smile on my face and an extra spring in my step. My co-workers asked why I was in such a good mood – I told them “a good cup of coffee can do wonders!” Thank you so much. ~ S. L.
Since last treatment our daughter has had no complaints about her stomach aches. Her appetite has increase and she has a bowel movement everyday – which is the first time in almost 5 years! Thank you! ~ M.T. My summer so far has been the best ever, my taste buds are so improved that I am enjoying my chocolate, which I cannot live without. ~ M. C.
I have suffered from a salicylates sensitivity and been sick all my life. I was finally diagnosed properly in May 2009. Since then I have prayed every day for a miracle cure. In March my prayers were answered, and I found the Midwest Allergy Relief Center. Since then I have been treated for salicylates twice, glutemates/amines, fragrances, essential oils and sugars. I can’t begin so say how much better I feel. I am a different person. I’m meeting myself for the first time in 25 years! And the best part is that the staff listens to and cares about me, and they are always there to help. If you are suffering and don’t know why, it is worth it to come see. I really believe it is a miracle. It is DEFINATELY the miracle I was looking for. ~L.W. After over 30 years of doctors, tests, & finding nothing and having being told by a gastro Dr. I’ll just have to live this way, I went to an allergist. She found several allergies – off the chart allergies & I was told to stay away from these things, she couldn’t help me. Then I heard about AAT & Midwest Allergy Relief Center. I was excited and skeptical. It just sounded too easy. But, I was so sick; I was willing to give AAT a try. I am feeling better than ever. I can eat again, visit my kids (they have cats), & enjoy life! My husband is thrilled, “he has his wife back!” ~ C.B. We have nothing but amazing things to say about the staff at Midwest Allergy Relief Center. We came to them about 6 months ago for help with my kids’ allergies and my own. We did the AAT treatment and had complete success. Before the treatment, my daughter was diagnosed by a traditional allergist with 23 allergic foods. She is now symptom free! And so are my son and myself! Our family can now eat out and can enjoy deserts! Before it was a dream of ours, now it is a reality. What was the most amazing part of the treatment was that it was pain-free (no shots!) and we were working alongside people (the staff at Midwest Allergy Relief Center) who truly care about us and our children and are truly there to help. My daughter went from being a very moody, emotional child with never ending stomach pains and dark circles under her eyes to a child that is very happy and thankful and loves seeing the staff at Midwest Allergy Relief Center who has changed her life. My one year old son is also wonderful and no longer suffers from hives, constipation, diarrhea, and severe blistering diaper rash. We are all blessed to have met them and will spread the word about this amazing life changing treatment. Thank you Midwest Allergy Relief! ~ K.M. It’s good to know that AAT is available for people who suffer from allergy symptoms. There is no reason to live with your symptoms to food or outdoor sensitivities. I feel like I am able with the treatments I have had so far to eat and not worry if I am going to have a stomachache. I would highly recommend AAT to anyone. ~ S.V. After receiving AAT Allergy Treatments I can now eat bananas! We are even considering getting the cat I’ve always wanted, but never thought was possible. I had been to 2 different allergists prior to AAT and neither one was able to help enough for me to even consider getting a cat. My friends even had to keep their cats locked in a room when I would come visit, but now, I don’t have any problems with cats. Thank you!! ~ H.D. My son suffered very strong reactions to eating eggs and sugars of all kinds. After AAT treatments he is now eating eggs for breakfast and is allowed sweets once in awhile. He was also treated for food dyes; at last we can relax a little and enjoy a more normal life. ~ T.P. My first appointment was January 7th, 2010. Within ONE WEEK, I could tell that there was a difference. Within ONE MONTH, I had gotten to a point where I had realized that I had energy equivalent to when I was in college, AND I had successfully weaned OFF one of my fibromyalgia medications AND cut the medications for my Irritable Bowel Syndrome in half. Over the last two months, I have gained nearly all my sense of smell back. Because I’ve gotten rid of so many of my negative reactions to things… I can breathe again. 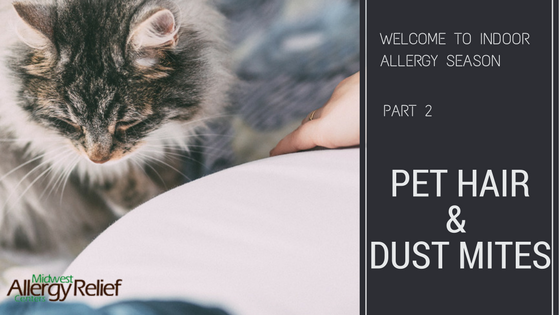 And those were mostly FOOD sensitivities – we’re just getting into the pollens and respiratory stuff. I want to tell you about the great people I’ve met there, and how different an experience it has been than the cold, dry medical world I’d grown accustomed to. ~ A.H. I can drink water again, thank you so much for your dedication to your patients. C.B. It has been so wonderful not having to worry about what my daughter is eating or what others around her may eat. Thank you for relieving the symptoms of her peanut allergy! I can’t keep enough peanut butter in the house, she says she has “ten years of peanut butter to catch up on” The school and her friends are so happy as well. L.C. I have not been able to eat lettuce without becoming ill and throwing up. I was treated for lettuce and had a salad with no reaction, thanks. C.P. It’s so nice to go out to eat and not have to ask what on the menu has absolutely no garlic in it. T.
I have no more diarrhea when I eat dairy – I can have pudding, cheese, yogurt and pizza now. My rashes are also improving. ~ D. B. After my first treatment after 2 hours my cramping ceased. ~ C.T. I came in being sensitive to most foods. I’d become really ill from dairy and sugars and plus minor reactions to many other foods. In just 3 treatments I can now enjoy ice cream, pizza and whatever I want to eat! ~ J.T. I had my first milkshake on 2/28/09 with out any problems. This milkshake was strawberry and yummy! It has been a long time since my last one! I cried tears of joy through the entire milkshake. Thank you! ~ R.G. I am amazed and thrilled how well these treatments work! I was to the point that I was completely avoiding dairy because it would make my stomach so upset for days on end. AND one glass of wine would leave me with such a headache that I couldn’t lift my head off the pillow – after being treated for these items and more I feel great. No more stomach or headaches and I can eat and drink the foods I enjoy. ~ C. D.
My son has been on a gluten and dairy free diet for many years due to food sensitivities. After getting him treated he can now enjoy pizza, wheat bread, milk and ice cream without negative effects. We are getting the entire family treated now! AAT works. ~ D.P. The Midwest Allergy Relief Center has been a blessing to us. My 2 year old daughter had digestive issues, gluten, sugar, and dairy sensitivities when we came in but they are all in the past now. The staff was very kind! We thank you for the life changing experience. ~ L.B. I was able to drink a glass of wine which I was sensitive to and had no problem with it like I used to experience before I got treated. ~ J.T. “My son who is eight, began to have severe seasonally allergies this year. After being treated, he no longer has the symptoms and does not need any allergy medication. This made our spring break trip to Grandma’s farm a huge pleasure for all of us! Thank you!” ~ L.O. “For the past eight years (I am 21 years old now), I haven’t been able to go to many public places because of my airborne latex allergy. Coming to Midwest Allergy Relief Center has changed my life. I can now go out and do thing and go places I never could before! I finally have my life back! Thank you all so much for everything you have done for me! I am so grateful! !” ~ L.M. “My daughter is the patient at Midwest Allergy Relief Center, but as a mom, I thought I should write to the other moms who are wondering if this treatment will work for their child. My daughter’s life has been changed drastically by her treatments. At 21 years old, it had been almost 10 years since she went bowling, to a mall or basically any public place due to an airborne latex allergy. She can finally lead a “normal” life!” Thank you! ~ C.M. I have been suffering from sensitivities since I had my daughter 4 years ago. Now that I started to receive treatments I can go outside and play with my daughter for the first time and not get sick. This is truly making a difference in my life. I can’t thank you enough. ~ C.D. My son was very impressed with the effectiveness of the last treatment. Within a couple of days, his sneezing, running nose and congestion completely disappeared. Thank you for your determination in finding all kinds of sensitivities and “disarming” them with such success. Thanks to you, my son will have an incredible and healthy summer. ~ M.S. I can go outside without medication! ~ A.S. Thank you so much for the wonderful care. I am doing great and feeling better than ever. I’m very grateful for these treatments! Many blessings to all of you! ~ K.M. I do not understand how the Advanced Allergy Therapeutics works, nor do I understand how acupuncture works. I know that after both treatments I can breathe clearly and my head and sinuses are clear. Prior to the AAT my sinuses would get plugged up to the point of significant hearing loss. This is in the process of clearing up. ~ M.M. I have suffered with sinus problems for years without being able to identify the source. After just a few treatments I can breathe through my nose again and my ears are no longer clogged. When I flew to Vegas, it was the first time in an airplane without pain in my ears. I used to burst eardrums on planes before these treatments, but no more! ~ J.K. When I first read about Advanced Allergy Therapeutics I thought this sounds like voodoo medicine and it must be a scam. I decided to try it anyway. I was having such awful seasonal symptoms that Claritin no longer worked and had nothing to lose but some hard earned dollars. After only one treatment I was almost symptom-free. I still had to prove to myself that it REALLY worked, so the next test was wine. I cannot remember when I was able to drink a couple of glasses of wine without feeling completely awful the next day. This worked too. Not only do these treatments work incredibly well, but the staff at Midwest Allergy Relief Center has a wonderful energy and is a pleasure to be around. I highly, highly recommend AAT; it will change your life. ~ L.P. I have had breathing trouble for years. I was told to avoid perfumes, which is impossible any time I’m in public. I’ve had to leave parties, meetings, work, dinners, etc. because I’d get sick. I was treated the first time and my sinuses opened and I could feel my breath reach my belly, which hasn’t happened in years. After I was treated for perfume, perfumes started smelling better to me and I haven’t yet had to leave because I was sick. I am very grateful. ~ M. R.
I used to have a severe reaction to grass since I can remember. Since I started my treatments at the Midwest Allergy Relief, I have been able to touch grass without any symptoms. I am a soccer coach and could never sit or do any of the soccer exercises where I had to touch the grass. After my treatment I had a soccer training session for 4 hours and was amazed that I could sit, lay and touch grass without feeling itchy and any other reactions. I was in awe and almost cried with happiness. ~ I. S.
Within ½ hour of leaving your office, my nasal congestion was gone and I could breathe again and by 45 minutes after the bloat was breaking up. Thank you, thank you and again thank you for your dedication to what you do and my treatments. I’m getting my life back thanks to the staff at Midwest Allergy Relief Center. For 3 years everything in my life has been about me. Whether we could eat out, entertain, especially what we ate. Since each month I got sicker and sicker we got to the point we never went out and even thou we rarely eat out at all now, we never did because I was afraid. I lived in fear I would never get better and as a result of being sick I was depressed, had anxiety attacks and extreme fatigue. Since my whole life was about me it was hard on my family and everyone around me. Well, thanks to you and your treatments I am now getting back to normal, I’m happier, my energy level is getting better ( although I need to exercise to get strength back) BUT most of all IT IS NO LONGER ABOUT ME. I liked the person I was when I was younger. I liked helping people and my family. So my life is no longer about me, I have the energy to volunteer again, clean my house and although I’ve never been a jealous person I again feel joy for the people around me. Now since we haven’t done much socializing in the last 3 yrs I need to work on my social skills but unfortunately even AAT can’t help there. ~ C. B.
I am training for a marathon. In early August my training took a nose dive because I couldn’t breathe well enough to run. It was as if my throat was filled. My friend recommended AAT @ the Midwest Allergy Relief Center and after my third treatment I was back to myself again. The runs immediately improved and I couldn’t be more thrilled with the results. I can’t say enough about how well these treatments worked for me. ~ M. F.
My son and daughter have been suffering with chronic runny noses and sneezing that nothing would help. They were treated for sinus bio-substances, fungus and sugar and their runny noses and sneezing have completely stopped! I also noticed that they were calmer and played together the whole day without fighting! They have never done this before. It is unbelievable! Thank you! ~ C.S. For the past eleven years, I’ve been on a number of allergy medications and inhalers with no true relief. Prior to coming to Midwest Allergy Relief Center I was on three different meds and 1 inhaler. A little over three months later, I’m off all of my meds and inhaler, I’m sleeping better and feel amazing. I haven’t even been sick since I started the treatments. Thanks you so much! S. L.
After treatment for mold and mildew I was able to easily tolerate exposure in my basement which previously would cause significant symptoms. J. K.
I have not had to use either of my two inhalers since the first treatment at Midwest Allergy Relief Center. It is fabulous. M. K.ulous. M. K.
I was able to sleep for and extra hour after my treatment. R.
I’ve seen a marked improvement in five treatments; my daughter seems to have a new brightness. A. M.
To everyone at Midwest Allergy Relief, thank you for all your help, and time to finally get rid of my allergies. Also, thank you for putting in extra time to treat everything I had and allergy to, even after my eyes became well again. During this whole experience there was not a time that I wasn’t smiling. Everyone who helped me at all always kept me happy, entertained, and full of hope. You all treated me and my mother so nice and finally got rid of all the allergies and sensitivities that would bother us. Walking in seeing a new question every week made me so happy. It made for the story and treatment ahead of me. We all had a great time together and I could not be happier with my original eyes back. A. G.
“Since being treated for inflammation factors, it made an immediate difference for me. I had been consistently red, hot and burning most of the time. Since being treated for inflammation factors, this has subsided substantially. So good to feel good again. This gives me the confidence in my future treatments for all my other various issues. Thank you.” ~ M.H. “My daughter was treated last week and all of the redness under her eyes went away and did not come back! We were able to spend 2 extra days up north outside with no more problems. I’m so thrilled he was able to figure out what was bugging her. Thank you for all your help with my daughter!”~ K.S. I came to Midwest Allergy Relief Center on my first visit with red spots all over my arms and legs from the sun. I only had one treatment and then I worked out in the sun all day that weekend. I did not have on red spot! I am going to continue with the rest of my treatments. Thanks Midwest Allergy Relief. ~ B.B. Just wanted to give you an update and a thank you. This morning’s emergency treatment made a huge difference. 5 Hours after treatment and the hives are barely noticeable. I can’t put a value on what it means not to feel like I have ants crawling all over me, or the anxiety that the hives create. I had a meeting this afternoon and it was great to have the participants look at me and smile as opposed to asking me what’s wrong with me. I know we are not done with the treatments, but its definitely working! This should not be considered “alternative medicine” as it is the only thing so far that has worked for me and has eased a problem that years of expensive drugs have not. And instead of a shoulder shrugs of we don’t know what else to do for you that I normally receive from, for the first time in my life, I’m seeing results and it’s allowing me to actually live my life. This morning I was in tears of frustration and now, it’s tears of relief. ~A.B. My one year old son no longer suffers from hives, constipation, diarrhea, and severe blistering diaper rash. We are all blessed to have met the staff of Midwest Allergy Relief Center and will spread the word about this amazing life changing treatment AAT. Thank you Midwest Allergy Relief! ~ K.M. I didn’t notice too much difference at first, until we started testing for my skin issues. Over the last 4 or 5 years, I have had terrible skin sensitivities, whenever I got really hot, while exercising mainly, I would break out into hives. Even when washing my face with just my hands, I would break out in hives; once we started testing for these skin issues and was treated for those items – I noticed a significant difference. Now over the past week, when running or training for the marathon, I haven’t had any issues with my skin breaking out into hives, and any reactions I was having with my own skin has completely gone away. ~ J. N.
My son’s eczema has not returned since his first sinus treatment. He is 2 years old and has had eczema for 1 ½ year – now it is completely gone. ~ B. P.
Two days after my treatment I no longer had any hives – so I think I’m good – thank you very, very much! I will call you again if I need you! ~ P.P. My 4 year old daughter could not take baths/showers without the hot water bothering her legs. Now after her treatment she can enjoy taking a shower. After being treated with AAT my canker sores are all gone! I am very excited! ~ K.H. I used to have severe acne and breakouts, thanks to allergy treatments- my face has really cleared up, I feel better about myself and I don’t feel sick all the time. L. W.
“Every time I drank red wine in the past 10 yeas, I’ve gotten a migraine headache. Since being treated for it, I literally have not had a single reaction or inkling of a migraine after drinking red wine. I had a glass of sangria on Halloween and was totally fine!! Woohoo!” ~ S.L. I was truly lucky to find you. There isn’t a day or meal that goes by that you aren’t thought of! St. Patrick’s Day and luck have a whole new meaning to me now! We went to a Super Bowl party and I ate anything and everything and didn’t get sick! WOW! We are all still shaking our heads in amazement. Words will never thank you for helping me!!! ~ M.W. After 10 years of recurring sinus infections and lengthy doses of antibiotics, I seemed to develop sensitivities to many foods. Then after more recent bout with “walking pneumonia”, I had developed so many sensitivities; it got to the point that no matter what I ate, I would get a horrific headache. My symptoms always seemed to be sinus headaches that often immobilized me. 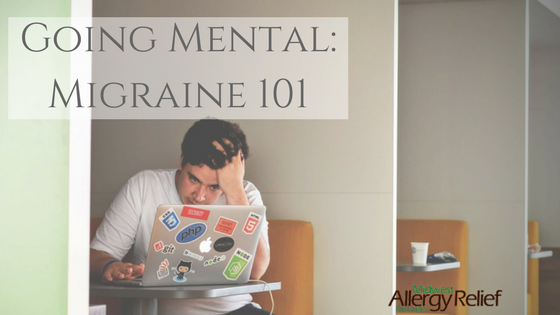 I had been to doctors and allergists and no one could really help me get rid of the headaches. I would get some relief from Sudafed and antihistamines, but then had to deal with feeling either nervous or too sleepy from the medications. I could not go on this way. I was having chronic headaches daily. I am the type of person to seek and try all options available. So after many tears, prayers and research, I finally discovered The Midwest Allergy Relief website. I wanted so badly for this to be the answer. I thought of how much of a miracle it would be if this really worked. I was desperate and hopeful. After just 2 visits of acupressure treatment at Midwest Allergy Relief Center, I saw a very noticeable amount of headache relief. I had a lot of treatments ahead of me, but I knew I felt incredibly better. Sometimes I would wait and see if a headache would occur before I made an appointment. And each time I did, I had immediate relief. I began to look forward to each treatment, knowing I was slowly becoming the person I use to be. I was becoming more energetic again and a happier, more positive person. I believe my prayers have been answered and I am thankful every single day that I don’t have a headache. I am so grateful to have discovered the Midwest Allergy Relief Center. I feel like standing on a mountaintop and shouting this news to the world. People don’t have to suffer! It surprises me how slowly this treatment is being accepted in this country. I just can’t believe that is these day and age people are so closed mined about alternate medicine. Possibly, many people can live with their symptoms and they are able to function. Those who can’t live with the constant discomfort are going to be more open to try something like acupressure. There are hundreds and thousands of people now who swear by it and are testimony that acupressure really works! I have since brought two of my children into Midwest Allergy Relief Center for their allergy relief. Both of them had skin problems and after a few treatments they are both free of all their symptoms. I have noticed that the younger generation is more aware and open to alternative medicine, and that is really wonderful! I have been telling everyone I know! ~ J.M. I had not slept more than four hours straight for one month. The night before I called the clinic, I could not fall asleep at all. After one treatment I slept six hours. After the second treatment I “slept like a baby! I was so relieved! ~ S.L. I’ve been sick since 1992. In the few weeks I’ve been coming here, I can breathe clearly, I have more energy, I sleep better, I have fewer headaches and I’m enjoying my life again. I have spent years and thousands of dollars on other treatments including shots, acupuncture, avoidance diets, herbal and nutritional therapies and energy work. None of it has been nearly as effective for me as AAT. Also, since starting AAT, I’ve not needed pseudoephedrine for the first time in 10 years. ~ J.H. I haven’t had a headache in 3 days in a row. I’ve had headaches as long as I can remember. ~ A.A.
Seventeen years ago, I was officially diagnosed with migraine headaches, although my family believes I suffered from different forms since birth. Over the past 17 years I have sought treatment from various “specialists” including the Diamond Headache Clinic, Johns Hopkins University, and the Mayo Clinic. After years of medications and no relief, I finally started eliminating foods from my life and found some relief. This was great except that I could not enjoy my social life because everything my friends did revolved around food that I could not eat. Then I heard about the Midwest Allergy Relief Center. I began to wonder why your treatments would be any better then all the others I tried. I began to question the techniques used in your treatments. I grew worrisome that insurance would not cover this and maybe this was yet another treatment and/or doctor that would let me down. My family rallied around me citing something that stuck with me: if this type of treatment did not work, we were out only money and time. They began to convince me that the risk/reward was worth it. After hearing a success story about your treatments from someone I knew and trusted, I decided to make the call. My husband and I both agreed that we would give these new treatments a try. I was surprised to learn that I only had to avoid the foods I received treatment for a couple of hours. I decided to wait for several treatments to try any foods that I was treated for. The first food I tried was soup. This used to keep me in bed for days with a terrible migraine headache. After a week of treatments, we went to a restaurant with a variety of soups. It took me fifteen minutes to work up the courage to eat it. I was scared! Scared that I would get sick and scared “what if this treatment did not work?” How would I be able to handle another let-down? I timed my first bite and after several minutes of not getting sick, I began to cry. I could tell for the first time this was in fact working! I ate four bowls of soup without any problems! It was a miracle! Feeling high on life, we bought a frozen pizza. That worked too! I did not get sick! It was not until bedtime that I got really sad. My husband could understand why. I had been given my life back. I explained to him I was afraid to go to bed. He understood my concern that I would wake up with a migraine the next morning after all the “no-no’s” I had eaten throughout the day. The reality was I was not afraid of that. I knew if I was going to get sick, I would’ve gotten sick already. What I was most afraid of was waking up to learn I had been dreaming. I woke up early the next morning to learn this was NOT a dream. The staff at Midwest Allergy Relief Center was giving me my life back! My family is amazed at the things I am now eating. Things that most individuals take for granted such as fruits and vegetables, grains, dairy, vitamins and minerals, sugar mixes, corn, yeast, caffeine, soy, artificial colors, flavors and preservatives, sweeteners, sulfites, glutamates and colors. Not only are my migraines gone, my spirit is better also. Another amazing discovery from my treatments is that I am sleeping better at night since my treatment for fungus. I used to toss and turn all night and was tired in the morning. My husband noticed that I slept better after the fungus treatment. I started this journey with “the door only half open”. I could not allow myself to be let down once again. As the visits went on, the “door opened” more and more. Those who may look at me funny for trying this type of treatment have not walked in my shoes. Those who know and have seen first hand my struggles over the years are not concerned why or how this treatment works, rather that I am better. I just had to let you know about his. We Just got back from a weekend in Monterey – I had a medical conference there and (my husband) came with me. On the way home, the traffic was awful, so (my husband) took a shortcut through some hilly and curvy country roads. I spent the time reading the paper on that part of the drive. I was amazed that I did not get car sick! That treatment for motion sickness worked! You know that as a physician I was skeptical, but the only explanations is that the treatment really worked ! Now I’m a believer. H.M.
My son is reactive to just about everything (environment, food, etc.) and has just finished being treated by Midwest Allergy Relief Center. He has been off all medications for about 5 months now. It is springtime and he is doing great. It is truly unbelievable, so unbelievable that I am now being treated. Go Midwest Allergy!! ~ M.C. My daughter went from being a very moody, emotional child with never ending stomach pains and dark circles under her eyes to a child that is very happy and thankful and loves seeing the staff at Midwest Allergy Relief Center who has changed her life. We are all blessed to have met them and will spread the word about this amazing life changing treatment. Thank you Midwest Allergy Relief! ~ K.M. My son used to lose control of his emotions very easily and also had a difficult time sitting still. 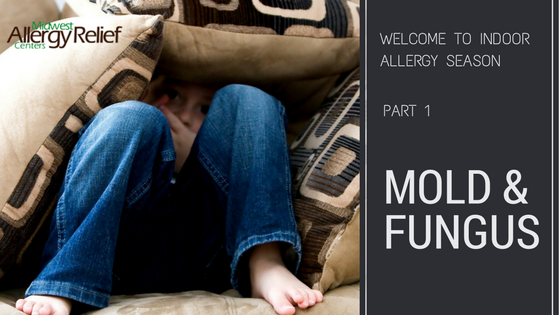 After the second visit with the staff at Midwest Allergy Relief Center, I noticed that my son was calmer and did not get as angry over minor things. Even my 9 yr old daughter noticed that her brother’s behavior improved. This is like a miracle for me. We used to walk on eggshells around this kid. Now we can actually say something to him and get a proper answer. Thank you for everything. ~ S.G. I feel great! I can’t believe how well it is working. I’ve slept better in the last two nights than I have in years. And people are noticing that I’m more alert and asking me what’s going on. ~ R.B. When I had my daughter 14 years ago, I started having motion sickness. Since then I have noticed that the motion sickness keeps getting worse and worse, I can only sit in the front seat of an automobile, any amount of time on a boat really bothers me, and any flight over 3 hours will guarantee that I am sick to my stomach. I was treated by Midwest Allergy Relief Center for motion sickness, vibration and drops in barometric pressure and I can’t believe the difference! We were out on a small boat on Lake Michigan and I had no problem – even when we dropped anchor and hung out for 3 hours!! ~ C.D. I went to my first bonfire last night since I’ve been treated. I was able to apply firewood and poke the fire while standing in the smoke. This is truly a miracle. I used to have asthma attacks just being in the vicinity of smoke, and would have to miss out on all the fun. ~ M.R. I have had symptoms to cats and not able to go to my brother’s home for 30 years because he has 4 cats. Having unsuccessfully tried other treatments, it was pretty much understood that going to his home or anyone’s with a cat would never happen. The Midwest Allergy Relief Center was recommended to me by my sister-in-law, who is also a patient. I had 4 treatments and we tested it out by going to their house and waiting for something to happen (usually within 10 minutes I would have difficulty breathing, runny nose, itchy eyes) after one hour there were none. It really was quite a joyous occasion, and now I can visit my family for the first time in 30 years. ~ F. S.
Thank you so much for the wonderful care and treatments. I’m doing great and feeling better than ever! I’m very grateful for these treatments! Many blessings to all of you. ~ K.M. AAT has made such a big difference in the lives of our family – we can never thank you enough! Please take this gift certificate and enjoy a nice dinner out in appreciation for all you’ve done! ~ K.D. We found out about a way to feel better without medicine or needles and were both felling much better! After we were done with those alternative treatments we began a journey of acupuncture at the same clinic (the Wahls of Wellness). Thank you for your tender loving care during 2009! You are so intentionally loving and genuine – a true gift from God! ~ R.B. I can testify that my quality of life has dramatically changed for the better, since I started seeing the staff at Midwest Allergy Relief Center. The most amazing thing is that after every treatment you start seeing the results almost immediately. I can’t describe the joy and relief to finally find something that actually works. ~ I.S. My grandson, age 15 used to wake up every morning and vomit up phlegm. When he was little we put him in timeout because we thought he was doing it on purpose. After being treated at Midwest Allergy Relief Center, the vomiting has stopped! What a miracle. He fells so much better and is so much happier. No pain or needles – it’s so great. I am also being treated. Now I no longer wake up with a headache and full sinuses. My heartburn is also gone. What a great feeling. ~A.S. Once in a while, someone comes just naturally makes everyone feel a little happier, a little more alive to life. You’ve been that someone to us. You’ve given us a new perspective on a lot of things – including ourselves. There are things you’ve said to us we’ll always remember and ways you’ve helped us. We’ll never forget. The times we spend together are always good times that leave us looking forward to the next time. So thanks for being the wonderful person you are. You’re an inspiration to us, and we’re very glad and grateful that you’ve come into our lives. Where do we begin? How do we find the words to thank you? Nothing we can do or say can compare to the joy and happiness you and AAT have brought into our lives. We are overwhelmed with emotion knowing that our daughter’s life has been transformed – that the life we thought was going to be her “normal” will be a memory of her past, that in 20+ years when she is a mommy we can tell her all about her first 5 years and how the path we were on with her changed when we met you. Thank you for taking the risk and investing and trying out AAT. Your risk has become our miracle. We are 100% certain that God lead us to you and we can honestly say we are forever grateful. We want you to know how very much you mean to us. You are an amazing person and your kindness will never be forgotten. Thank you from the bottom of our hearts for everything we deeply appreciate the new life AAT has given our child and me too! Love and God’s Blessing. ~T.H., K.H. & M.H. Our son was brought to the emergency room four times between May and September of 2009 for difficulties with breathing associated with a cold. The first and last visits resulted in overnight stays. We were told he has asthma and were prescribed an oral steroid for the remainder of his cold, four puffs a day of Flovent and an albuterol rescue inhaler. I was uncomfortable with this diagnosis because his symptoms did not last for the duration of the cold, I did not see the great improvement with the use of his albuterol inhaler and I was not thrilled with the thought of giving our 28 pound 3 year old steroids on a daily basis. Fed up the fact that we were encouraged to continue to mask his symptoms rather than address the cause, we came to Midwest Allergy Relief for a consultation. Our son was treated with Advanced Allergy Therapeutics (AAT) from December 2009 to April 2010. We ceased all prescribed medications in January 2010, he has had no breathing distress since then. Our daughter has had noticeably bumpy skin on hers arms and torso since she was about 7 months old. As warm weather approached I noticed her scratching some of the areas causing red patches that were becoming sore. This coupled with soft stools a few times a week led me to suspect she may have food sensitivities. Following our son’s treatments, we started our daughter with AAT treatments in May 2010. Today her skin is silky smooth and she has not had any itchiness or irritations since her first treatment. In addition, as we near the end of her food treatments, there is a noticeable difference in the “healthiness” of her stools. (Which only figures since she is now almost potty trained). Our experiences with Midwest Allergy Relief Center have resulted in many recommendations to family and friends. Some who are currently coming for treatments and also finding relief, others who are anxious to begin in the very near future. We are so happy to have you all in our lives. ~ G.F., B.F., J.F. and K.F. We have nothing but amazing things to say about the Midwest Allergy Relief Center. We came to them about 6 months ago for help with my kids’ sensitivities and my own. We did the AAT treatment and had complete success. Before the treatment, my daughter was diagnosed with 23 food sensitivities. She is now symptom free! And so are my son and myself! Our family can now eat out and can enjoy deserts! Before it was a dream of ours, now it is a reality. What was the most amazing part of the treatment was that it was pain-free (no shots!) and we were working alongside people (the staff at Midwest Allergy Relief Center) who truly care about us and our children and are truly there to help. My daughter went from being a very moody, emotional child with never ending stomach pains and dark circles under her eyes to a child that is very happy and thankful and loves seeing the staff at Midwest Allergy Relief Center who has changed her life. My one year old son is also wonderful and no longer suffers from hives, constipation, diarrhea, and severe blistering diaper rash. We are all blessed to have met them and will spread the word about this amazing life changing treatment. Thank you Midwest Allergy Relief! ~ K.M. My 4 year old daughter could not take baths/showers without the hot water bothering her legs. Now after her treatment she can enjoy taking a shower. ~ K.W. My son is doing so well, hardly needs to use any Zyrtec – he has been incredibly healthy overall. What a change for him in his quality of life! ~ M.N.